While it’s all Summer lovin’ for us folk in the Northern hemisphere, my natural girls in South Africa are experiencing the complete opposite: dry, cold Winter air competing with them to rob as much precious moisture from their strands as possible. We all know that the ensuing dryness can lead to weak and brittle hair, which is why it’s vital to protect the strands at all costs during the chilly months. 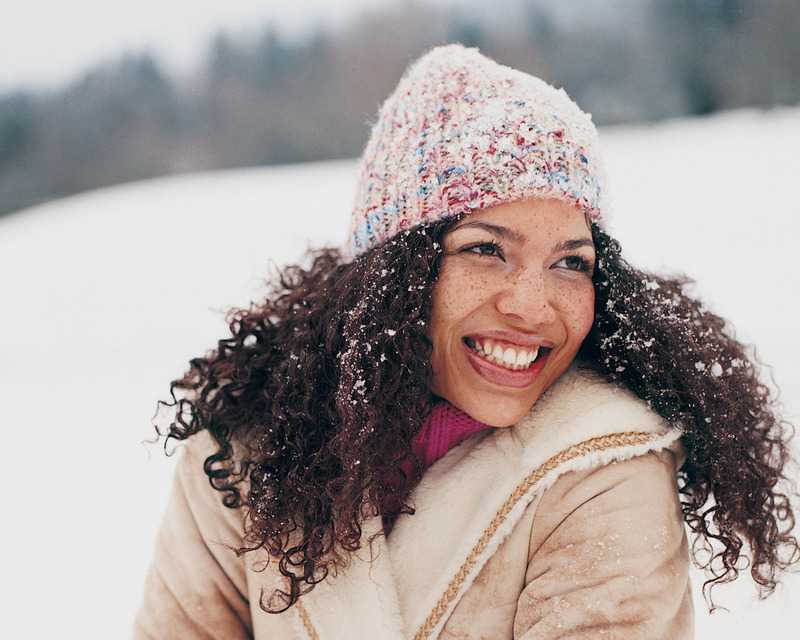 Believe it or not, it is possible to get through the Winter without letting your hair get damaged. Here’s how. Dry hair is only going to be moisturised by the one true moisturiser – water. Therefore it stands to reason that the more you moisturise, the longer your hair will stay hydrated. Deep conditioning really does do wonders for putting back moisture lost through the elements. It doesn’t have to be expensive either. A simple home-made conditioner comprising some everyday kitchen ingredients can work wonders. Check out some of my favourite DIY deep conditioners over here. Once applied wrap your hair in plastic wrap or put on a shower cap, cover with a towel and leave it on for anything from 30 minutes to an hour (or more) to ensure deeply nourished strands. Coating your hair with oil before or after you’ve applied your conditioner is another way to ensure softer and longer lasting moisturised tresses. Oil rinsing is great because it reduces the chances of single strand knots from forming, it makes detangling easier and it’s a natural shine enhancer. If your hair is really suffering, use the LOC / LCO method to lock in moisture. If not, dry and brittle ends can lead to breakage and split ends. Try using a thicker oil like avocado or castor oil to seal the ends. These two oils work well as they are really thick and do an effective job without congealing in the cold weather the way coconut oil and shea butter do. See this article to get the how-to for the LOC / LCO methods. Wearing your hair up and out of the way with the ends protected is an ideal way to help prevent moisture from escaping the hair. Have a look at this piece for advice on simple protective styling for ultimate length retention. Hair resting against woollen collars, scarves and jackets can cause havoc on your ends because of the friction from the fabric, so try to wear your up on the days you choose to wear clothes made up of these types of fabrics. I think this is pretty self explanatory. The silk / satin will protect your hair from the drying out effect of the woollen hats and beanies. It may sound like overkill to do both, but trust me your tresses will thank you for providing the extra barrier to prevent moisture from escaping. As with my Summer hair care tips, making sure you moisturise your body from the inside too will go a long way in keeping both your skin and hair healthy and hydrated. I’ve made use of all these tips during the past Japanese Winter, and I managed to keep my strands healthy, strong and moisturised for the best part of it. I was also able to retain the length, so much so that I was surprised at how much my hair has grown, including a trim at the end of the Winter. If you have any more tips that you think I should include in this list, please let me know in the comments section below. That way I can compile and share them with my other readers. Also, if you have any more questions that I can answer on how to keep your hair moisturised and soft during the Winter, jot them down below and I’ll try and help as much as I can.